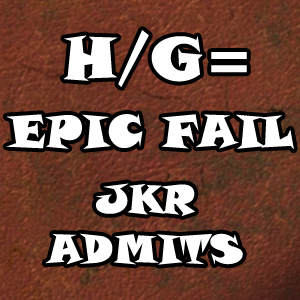 No, the reason for happiness in D/G-land is that if H/Hr was what JKR should have done, then, by logical extension, H/G IS THE MASSIVE FAIL OF ALL TIME AND EVEN THE AUTHOR ADMITS IT. Why is this important after six and a half years? Why do we still care? Well, it’s all in the rest of that D/G essay… but basically, it’s because of what these books meant and what the theme really was. They weren’t just children’s entertainment; they were about something important. And H/G represented the total trashing of that vital theme at the end of D/H, especially in the Epilogue of Horror and Doom. Anyway, more later, but for now, HAHAHHAHAHAHAHAH!!!! And in other news, we’re almost done getting in fics for the exchange! 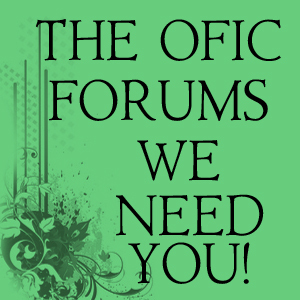 New Discussion Site for the OFIC Forums! So I’ve thought about this a lot. The ofic forum idea has been on my mind for about a year. And I’ve never really done anything with it yet. There’s so much going on right now, including the D/G fic exchange (only 19 days left, people!!) But I realized something: there will never be a perfect time!! Or maybe right now is ALWAYS the perfect time. 🙂 Sometimes you just need to carpe that diem. What exactly IS an ofic forum? It’s all explained right here—and even a little bit about why it’s so important for the future of the D/G fandom. Whether you’re a writer, a reader, or both, you REALLY want to be involved with this. I’ve decided to have the discussion board as part of the FIA forums, because they’re already there and set up. So come and join in! SO… yay!! The WP FIA blog now exists!! If you’re here when it’s first up, you may notice a generic theme and a certain lack of content. 😉 These things WILL be fixed; I’m just not sure when. 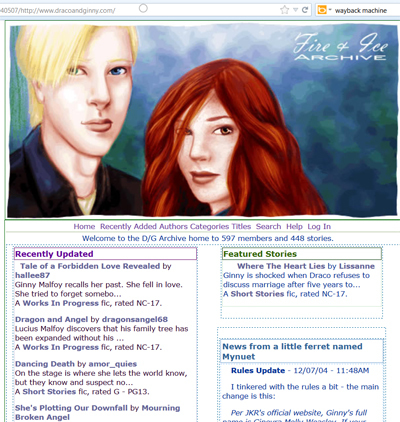 The D/G Fic Exchange a GoGo of 2013/14 begins on Dec 1st– a week from today!! So my guess is that there won’t be much done with this blog until January. Still, that’s not very far away. We have a tumblr blog, a FB page, a YT channel, and a Twitter account, and links to those will be up soon. But WP is where I REALLY want us to have a presence.